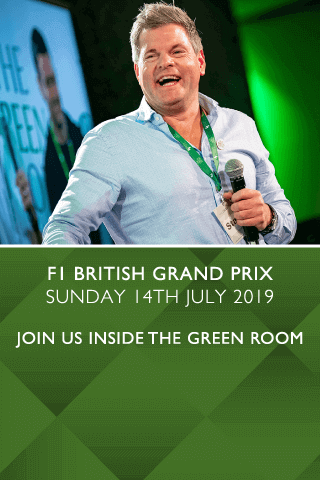 Mark Durden-Smith always goes the extra mile to entertain audiences with his charm and spontaneous wit as our exceptional host of The Green Room. The son of Judith Chalmers and sports commentator Neil Durden-Smith, Mark had TV presenting in his blood. Mark started his career at GLR and BBC regional newsrooms before becoming a researcher for Saturday Night Clive and Clive Anderson Talks Back. 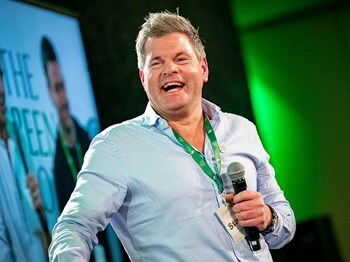 Best known for his charm and spontaneous wit, Mark has previously hosted spin-off shows from I'm a Celebrity... Get me out of here!, Hell's Kitchen and Soapstar Superstar. Mark currently presents the Aviva Premiership Rugby highlights on ITV. Prior to Aviva’s move to ITV in 2013, Mark fronted the Premiership Rugby coverage on ESPN, with Austin Healey. Mark has also hosted Sky Sports Centre on Sky Sports and was the front man of Sky's BAFTA winning rugby coverage from 1997. Mark was the anchor for the launch of RI:SE Channel 4's breakfast show back in 2002. In 2007 he presented ITV1's holiday series Wish You Were Here - Now and Then. Mark has presented several series of ITV2's I’m A Celebrity Get Me Out of Here Now!, two series’ of the successful nail-biting show Gutted on Home, as well as The Underdog Show with Tara Palmer-Tomkinson on LIVING. He also fronted ITV1's Boat Race coverage, which was nominated for a Broadcast Award. Other presenting credits include; three series of The Match with Zoe Ball (Sky One), Millionaire Manor the National Lottery show (BBC1), two series of ITV2's Hell's Kitchen Extra Portions and Package Holidays Undercover ( ITV 1).